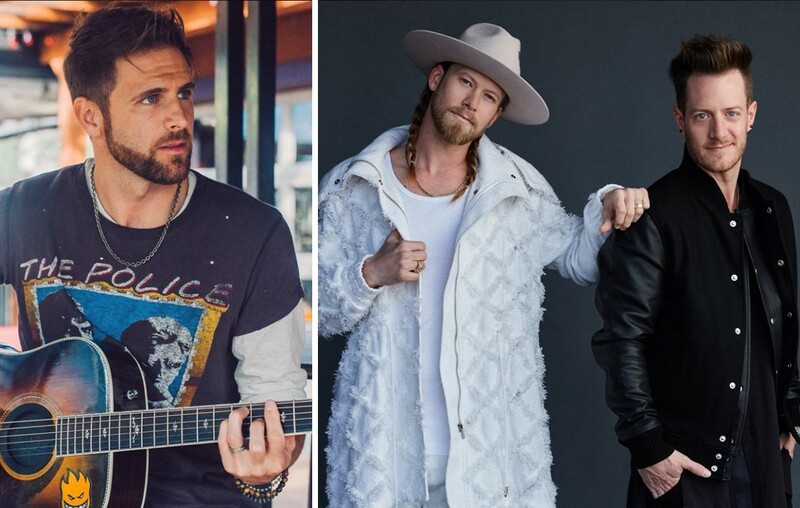 Country music hit-makers Florida Georgia Line have invited Canaan Smith to join them in Las Vegas this December! More here. Country music duo Florida Georgia Line have selected singer-songwriter Canaan Smith to join their five-nights-only residency inside Zappos Theater at Planet Hollywood Resort & Casino this December. Fans are invited to join FGL for anything-goes shows on December 1, 5, 7, 8, and 11. The set-list will span their history-making hits and fresh tunes from their upcoming fourth studio album. Tickets can be found here. Smith has notched a bevy of co-penned hits cut by FGL, Jason Aldean, and Cole Swindell, while in the studio working on his own new music. As previously revealed, young phenom Mason Ramsey is also serving as FGL’s direct support. “We keep reaching our wildest dreams! Last year I got to direct my first video [“Smooth”] here and the city’s energy is just out of this world. We’re all in for this one!” Brian Kelley added. Share this news with other FGL fans and check out Canaan’s latest, “This Night Back,” below!